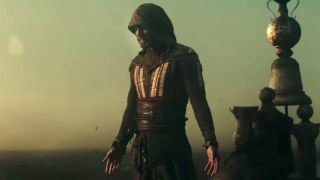 It's almost time for the Assassin's Creed movie to hit theaters, and we're all waiting in dreadful anticipation wondering if this will be the first good video game movie. While we tap our feet and bite our nails though, why not take a peek behind the curtain and check out some of the ways the movie is foregoing the usual CGI treatment in favor of real-life stuntwork and practical FX? And pretty much every fight scene showing off the choreography and physicality the movie will have.